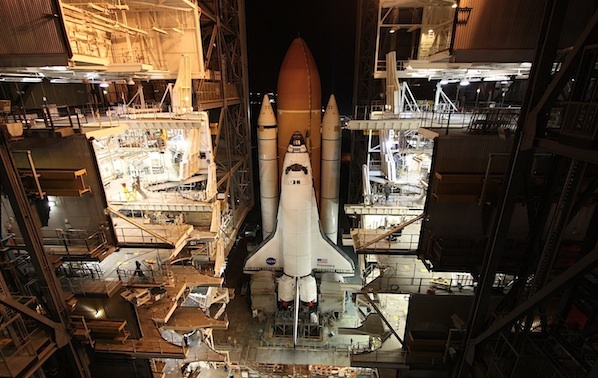 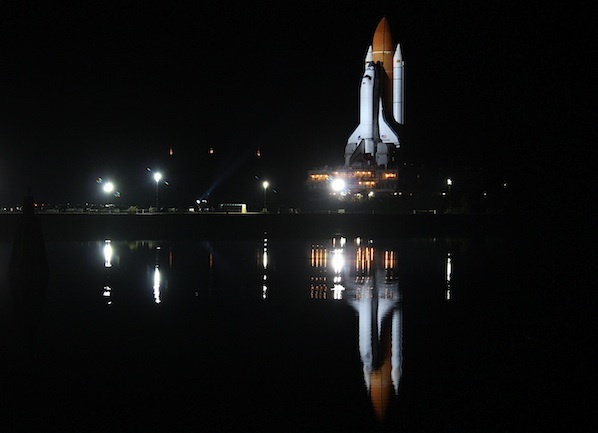 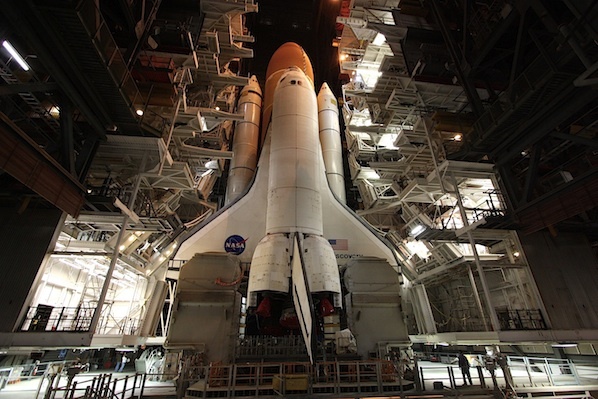 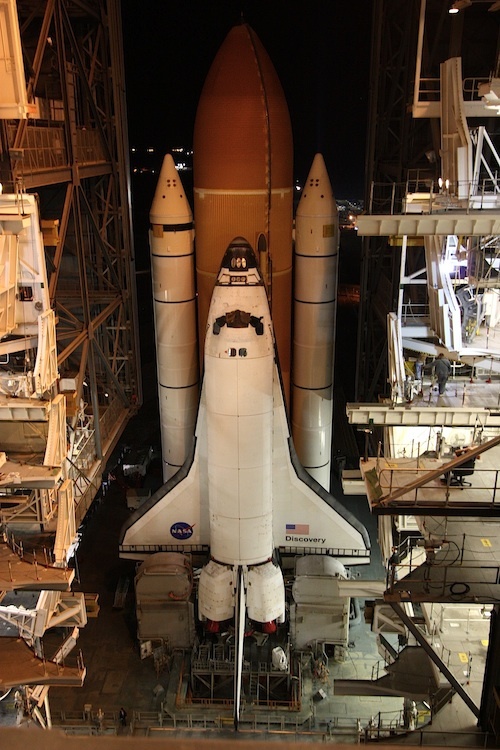 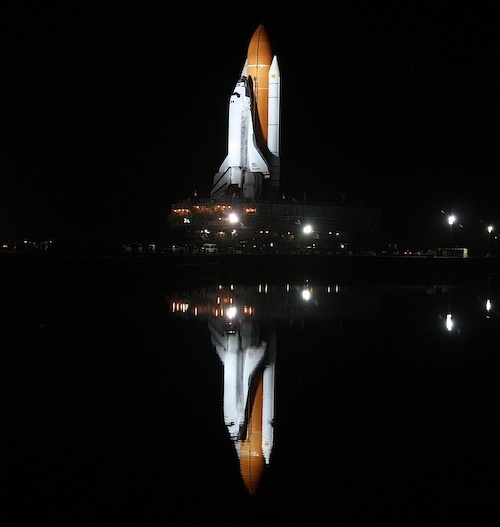 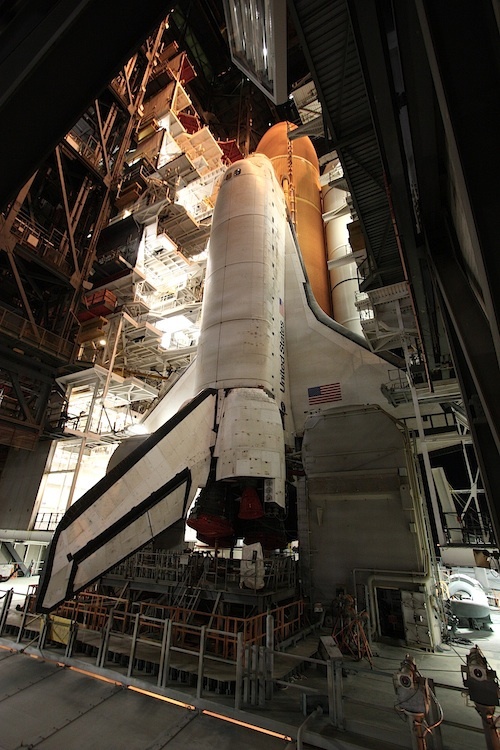 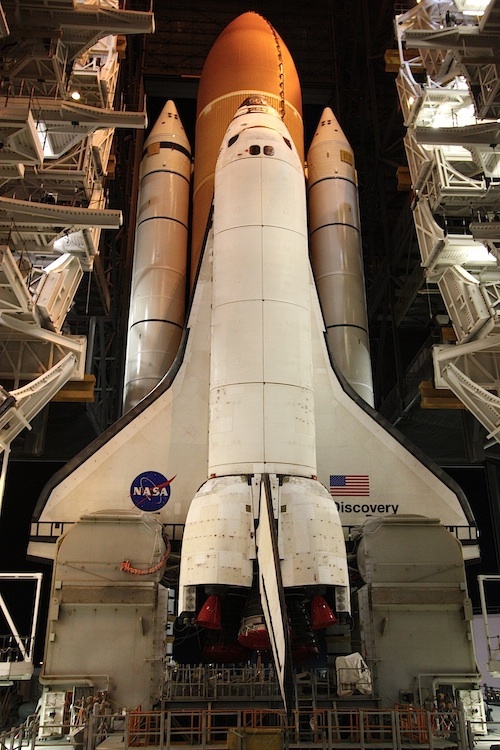 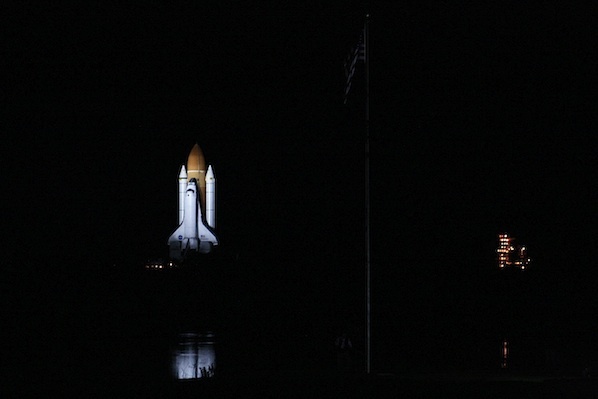 The shuttle Discovery started its trek back to launch pad 39A at 7:58 p.m. EST Monday after 40 days inside the Vehicle Assembly Building at Kennedy Space Center. 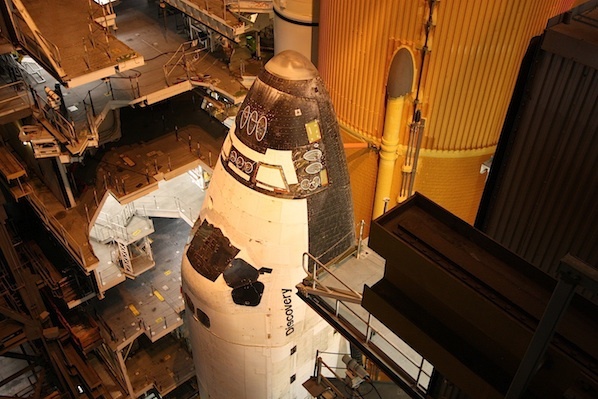 Inside the massive facility, engineers inspected and strengthened Discovery's external fuel tank, setting the stage for another launch attempt Feb. 24 on the orbiter's final flight. 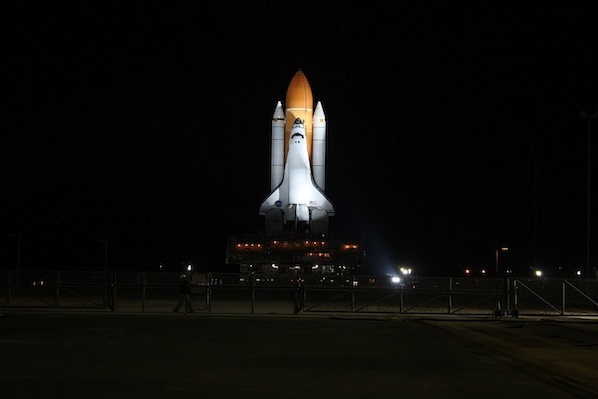 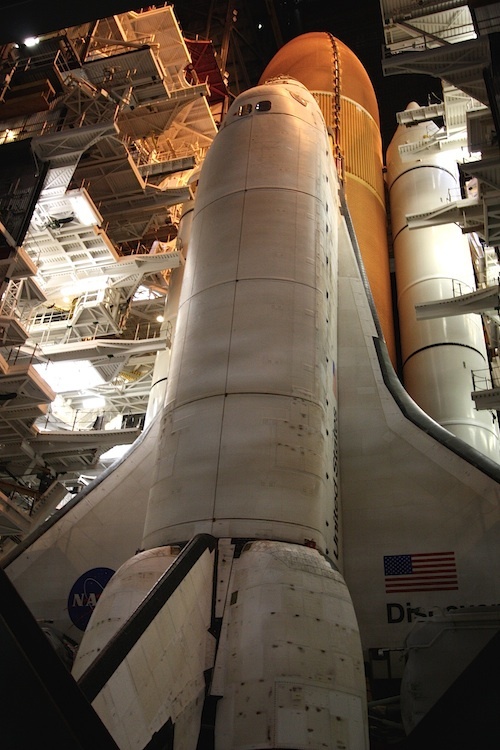 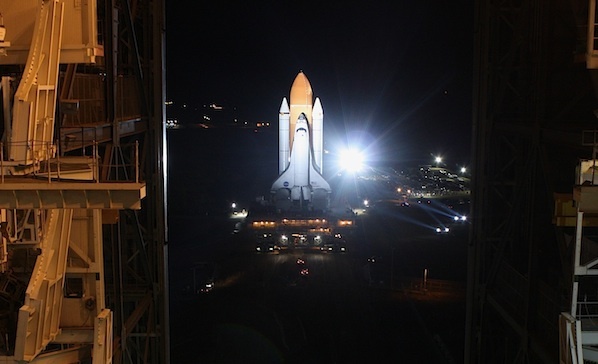 Discovery did not get off the ground during a series of tries in early November. 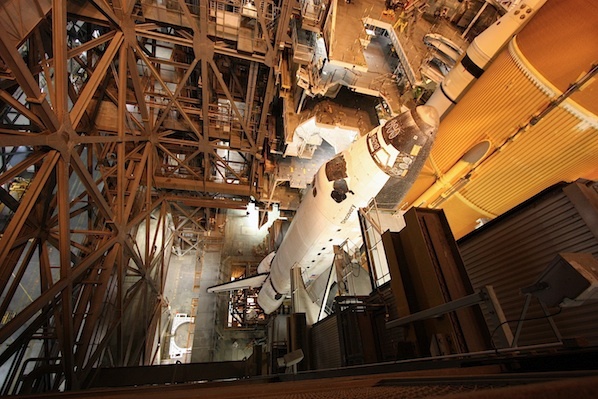 NASA suspended launch attempts to address cracks in its fuel tank, eventually leading to Discovery's return to the VAB in December. 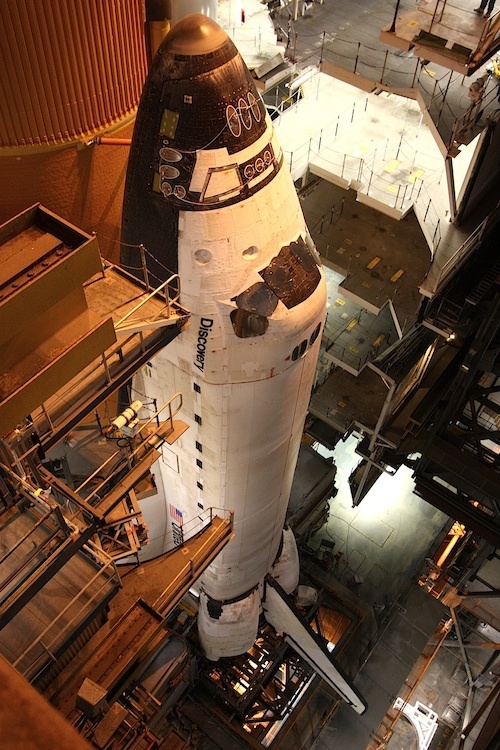 These photos were taken inside the 52-story assembly building and at the KSC press site as Discovery departed for the pad atop a diesel-powered crawler.